The Government of Gujarat Education Department has released news and updates of Primary Teacher Online Transfer camp at dpegujarat.org. All the teacher who are interested for Primary Teacher Online Transfer, he/ she can visit above website of primary teacher badli. when primary teacher online badli relates official news or notification will release that time is as on this website. we advised to all the teacher who interested to apply for Primary Teacher Online Badli, keep touch with this page for more updates and notification regarding Primary Teacher Online Transfer. 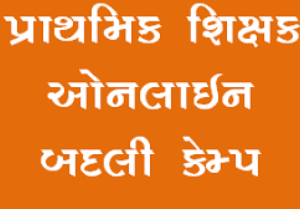 The Teacher who want to apply for Primary Teacher Online Badli, can apply Online Form at this official website. After the filled up the application or online form for Primary Teacher Online Badli, you can take a print from it for further use and also will submit document and print at TPEO office for verification of online application. also you can search name online badli jilla fer badli form for fill up the online form for Primary Teacher badli at www.dpegujarat.org. DPE District Education Committee has released vacancies for Primary Schools which has Std 1 to 5 and Higher Schools which has std 6 to 8. This Transfer was done after the 5 years of joining job for the primary teacher and higher primary teacher, it will be based on the DPE Education Department circular. also primary teacher transfer is known or search by primary teacher badli na niyamo aras paras badli camp jillafer badli camp aras paras badli new paripatra aras paras news paper. Finally, DPE Gujarat Department has released official schedule or datesheet for the primary teacher transfer. 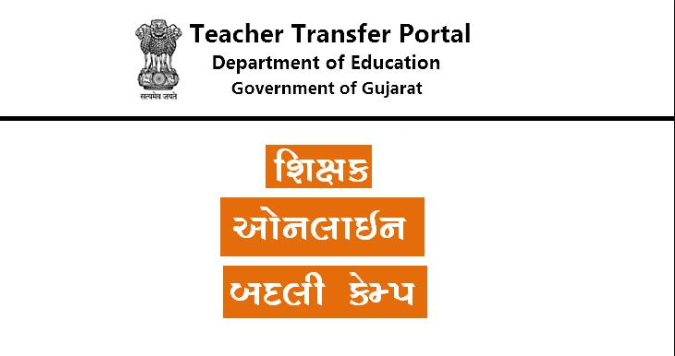 also all the information or notification regarding round of Primary Teacher badli, it will available at the official website of Gujarat education department. Here, We have some steps to apply for Primary Teacher Online Badli. The Teacher who are interested for the transfer at another city, musty follow these below steps. Follow the Below Steps to check Primary Teacher Transfer Vacancy or orderName Of Teacher : Here you have to write the Full name of Teacher who want to Transfer. Gender : Select the Gender which from Male or Female. PAN Number : Where you have to type your PAN number if you have. Mobile Number : Here you have to write your personal mobile number for the notification or updates of Primary Teacher Transfer. Email : If you have email ids then write in email box. it is optional filed. Education Competency : Here you have to select the education qualification. Training Competency : Here select the training competency. School Code : Here writes the Dias code of the current school. School Name : Write your current school name. City Name : Here you have write down the name of city where you live now. Taluka Name : Here you have to write down the name of taluka. Jilla Name : Here you have to write down the name of Jilla. Pay Centre Code : In this box you have to write Pay Centre Dais Code. Pay Centre Name : Where you have to write the name of Pay centre. City Name : Here you have to write down the name of city where pay centre stayed. Taluka Name : Here Write down the name of taluka where pay centre stayed. Jilla Name : Here Write down the name of jilla where pay centre stayed. DOB (Date of Birth) : Here Write down the Birth Date of applicant. Date of Account Entry : Here select the Date of when you entered in the account. Date of School Entry : Here select the Date of when you entered in the school. Date of School Exit : Here select the date when you exit from the school. 5. Then Upload your photograph for the application form. 7. Now click on the Submit button to submit your application form to the DPE Gujarat Education Department. 8. You can take a print for the future use. 9. Now you have to submit your print of application form and document to the TPEO office.